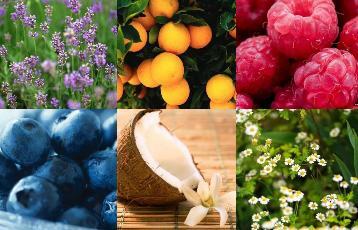 Know your organic ingredients: It helps to know what you should look for when shopping for organic body care products. Now that you know what to avoid, how do you know what should be in your personal care products? What ingredients are actually considered organic? Below is a list of some of the organic ingredients that are commonly found in genuinely organic skin and body care products. We hope you will find this information useful! Castile soap. Also known as real soap, Marseille-style soap, castile soap is probably the most popular of the organic surfactants. Organic soaps are most often made from vegetable oils such as olive oil, hemp seed oil, almond oil, coconut oil, sunflower oil, safflower oil, and jojoba. 4. Natural Fragrances: In organic body care products, fragrances are usually derived from certified organic essential oils, many of which have other beneficial properties as well. Plants such as jojoba, candelilla,, carnauba, and rice bran. Naturally occurring minerals, or iron oxides, also have colorant properties and are often used in organic cosmetics.